REUTERS/Rolando Pujol RodriguezWould-be emigrants launch a makeshift boat into the Straits of Florida towards the U.S., on the last day of the 1994 Cuban Exodus in Havana, September 13, 1994. Since the rise of the Fidel Castro in 1959, millions of Cuban citizens have tried to illegally gain entrance to the United States, seeking refuge from the regime. 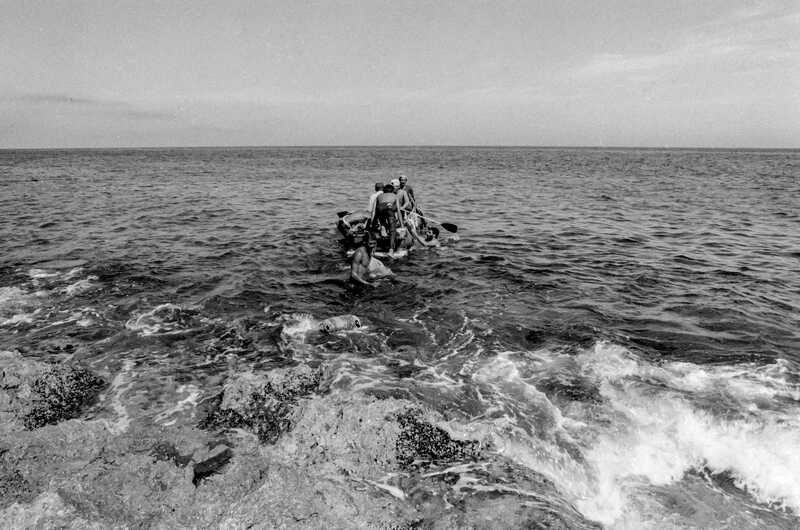 Many of these people have attempted to enter the US using makeshift rafts to travel the treacherous 332 miles of water between Cuba and Miami. A great many have died along the way. 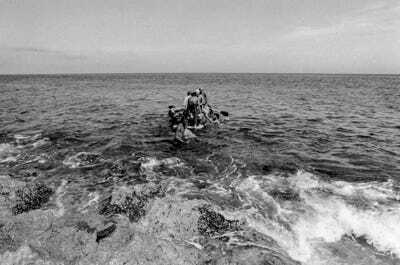 The emigrations reached a fever pitch in 1994 when Castro heightened restrictions on leaving, and the US Coastguard intercepted more than 31,000 Cubans during August and September of that year. Yet large numbers of exiles were not discovered and successfully made it Miami. Many of them still live in the city to this day. Now, 20 years after one of the largest influxes of Cubans to the US ever, Reuters photographer Enrique de la Osa visited Miami and tracked down many of those refugees, photographing them and seeing what became of them after their perilous journeys. 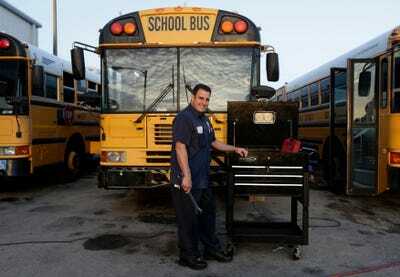 Hanoi Lopez, 39, is seen here in the yard where he works as mechanic at a public school bus company in Miami. 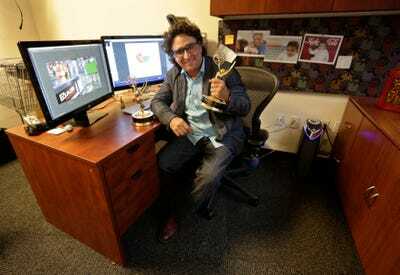 Luis Soler, 53, is seen here with the two Emmy awards he won as creative director at the Univision TV network. Soler said he spent five days adrift with other migrants in 1994 before being picked up by the U.S. Coast Guard. 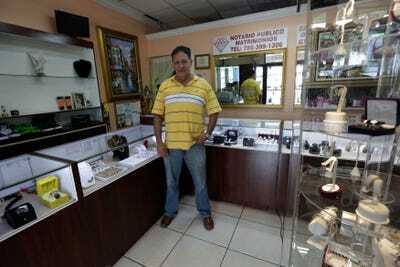 Faustino Jose, 60, now owns his own jewelry store. Faustino, who was an industrial engineer in Cuba, said he studied all of Thor Heyerdahl's books about rafting before building his own and leaving Cuba. Moraima Alfonso, 51, poses in the America TV dressing room where she works as a makeup artist in Miami. Alfonso said she spent ten days at sea and was suffering hallucinations when she was picked up by the U.S. Coast Guard. 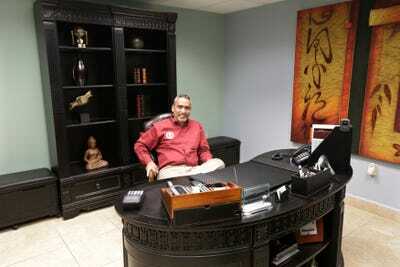 Tomas Curbelo, 51, got his Bachelor Science in Electrical Engineering and now runs his electrical contracting company in Miami. Curbelo said he was jailed in Cuba for being a member of the opposition Democratic Solidarity Party. 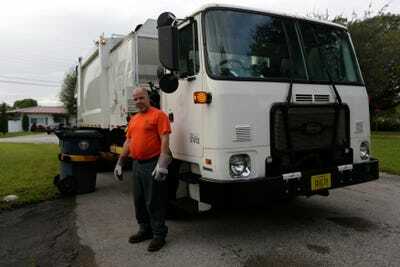 Pedro Brea, 50, now works as a municipal garbage collector in Miami. Brea said he spent three days clinging to a sinking raft in the middle of a storm when a U.S. Navy frigate picked him up from the sea. Carlos Hernandez, 45, poses in his workshop in Miami. Hernandez said he was a youth baseball star in Cuba when he decided to climb into a catamaran in 1994 and head for the U.S.
Gricel Gonzalez, 37, worked as a communications director on the gubernatorial campaign of former Florida governor Charlie Crist. She got her masters degree from Florida International University and has worked as a journalist, reporter, writer, and news producer. Gonzalez was 16 when she boarded a boat in Cuba with her sister, mother and stepfather to try and reach the Guantanamo Base during the 1994 Cuban Exodus. 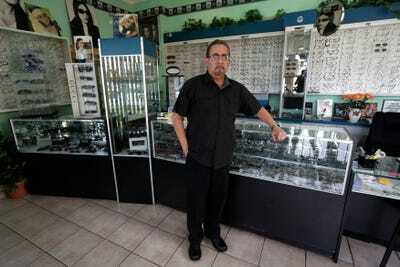 Jose Ramon Velazquez, 60, owns multiple optical stores in Miami. Velazquez said he was a radiologist when he decided to climb into a makeshift boat with 22 other migrants. 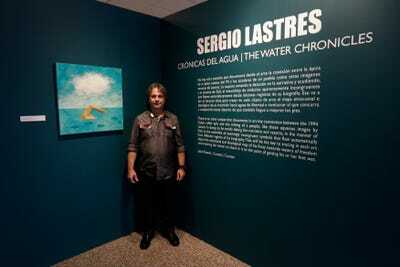 Sergio Lastres, 49, poses at an exhibition of his work based on the 1994 Cuban raft exodus. Lastres and his wife were among 15 migrants rescued when their raft filled with water in 1994. They were taken to Guantanamo Base where he painted his first work about rafters, he said.